Mellanox Technologies Ltd.’s (MLNX) stock has been on a bull run over the past year. The shares have more than doubled, easily beating the S&P 500’s return of 6%. The strong performance is a result of the company’s ability to gain market share with its high-speed Ethernet adaptors, switches, and cables. It has led analysts to boost their earnings and revenue outlooks for the company over the course of 2018. Hedge Funds have taken notice of the significant earnings and revenue growth the company is reporting. During the second quarter hedge funds were aggressively increasing their positions in the stock. It was also added to the Whale Wisdom WhaleIndex 100 on August 15 and has risen 11% since the addition. Meanwhile, during that time the S&P 500 has fallen 3%, while the iShares PHLX Semiconductor Index Fund (SOXX) has dropped 7%. 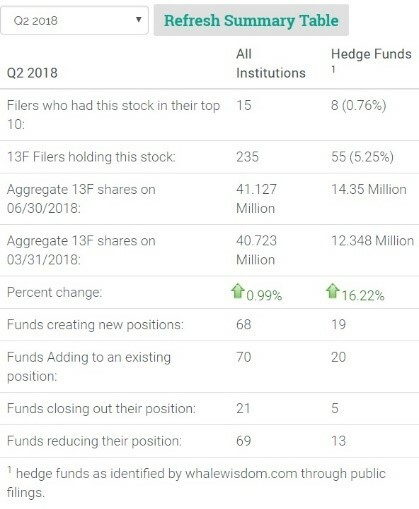 During the second quarter, hedge funds were adding to their holdings in the stock, increasing the number of total 13F shares 16% to 14.35 million shares. 19 hedge funds created new positions, while 20 funds added to existing ones. Meanwhile, only five holders exited, while 13 reduced their stakes. The number of total institutions owning the stock increased 1%. The company delivered strong second quarter results with earnings beating estimates by 15% while revenue was 2% higher than estimates. Third quarter profits were 11% higher than forecast while sales were 1% better. The strong results have prompted analysts to boost full-year earnings and revenue estimates. Now analysts estimate that earnings will more than double in 2018, up from the previous forecasts for growth of 41% at the beginning of the year. 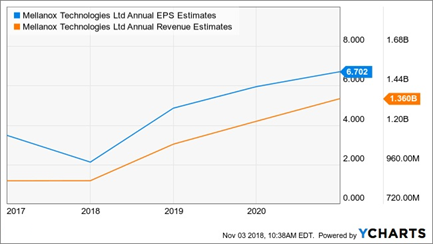 Additionally, analysts expect that earnings will grow at a compounded annual growth rate of 43% through the year 2020 to $6.70 per share. Revenue is projected to grow at a compounded annual growth rate of 16% through 2020 to $1.4 billion. 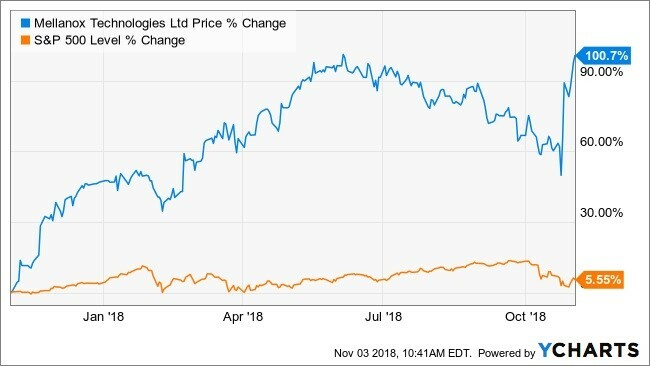 It makes the stock relatively cheap trading with a 2019 PE ratio of 15, and a PEG ratio of just 0.34 when considering the three-year estimated compounded earnings growth rate. Analysts are very bullish on the name as well, and see the stock rising 21% from its current price of $88.42, to an average price target of $107.33. Of the 14 analysts that cover the stock, 79% rate it a buy or outperform, while 21% rate the shares a hold. The strong earnings and revenue growth are driving the shares of the chip company higher. Should they continue to rise, then the stock may still have much higher to climb. This entry was posted on Monday, November 5th, 2018 at 8:31 am and is filed under Hedge Fund News, Stock. You can follow any responses to this entry through the RSS 2.0 feed. Both comments and pings are currently closed.